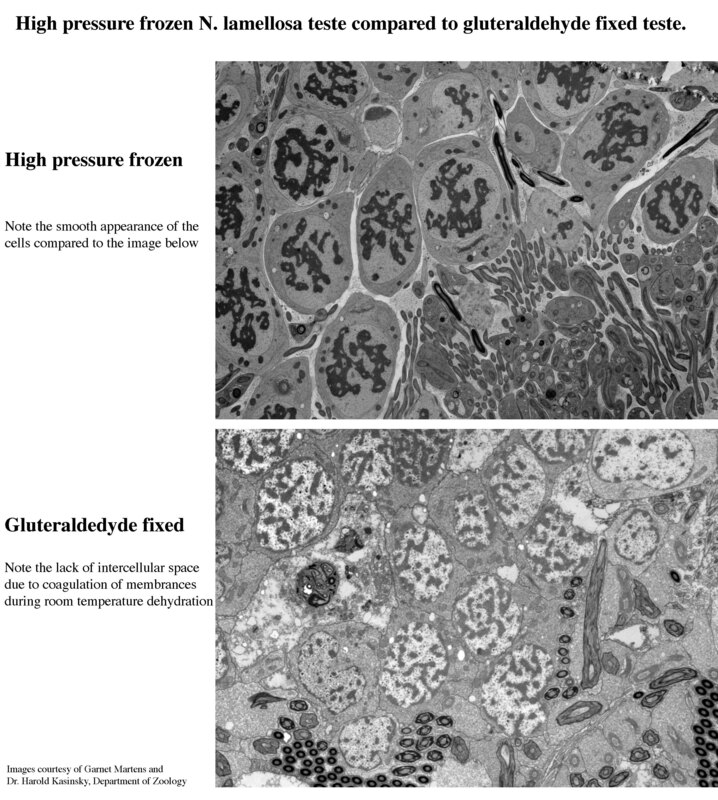 High pressure freezing is the ultimate method currently available to preserve cells and tissues as close to their natural condition as possible. The HPM 100 uses a simple touch screen interface to change freezing parameters, and a single push-button mechanism to initiate the actual freezing of the sample. From that point, the sample is automatically frozen and then rapidly transferred to a Dewar containing liquid nitrogen for retrieval at the user’s convenience. 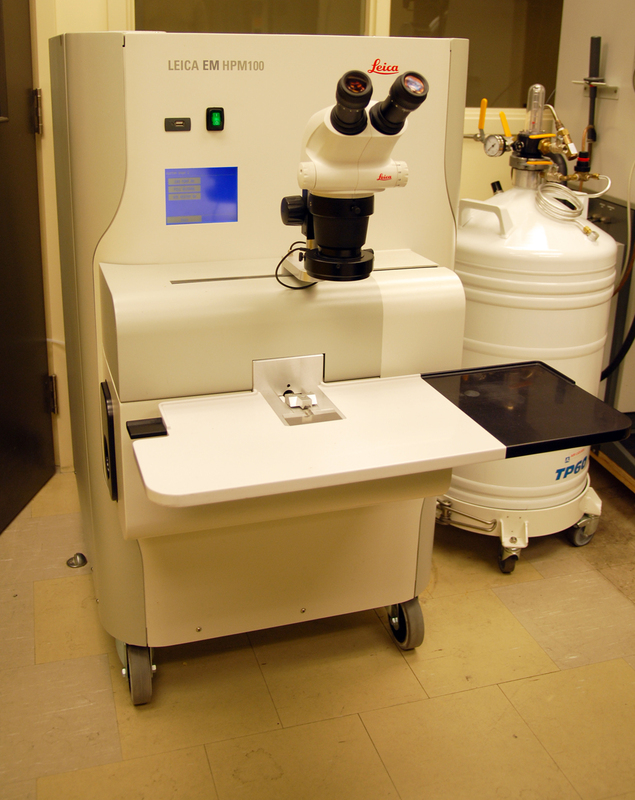 This simplicity allows for a high throughput of samples, and also easy training of new users. 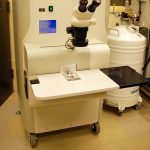 This system was provided by Leica Microsystems, which has established a North American base of operations for applications development at the UBC BioImaging Facility. 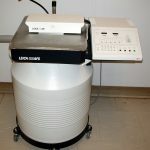 Samples vitrified are then further processed using the Leica AFS (automatic freeze substitution) to substitute the intracellular water for acetone in preparation for resin embedding. 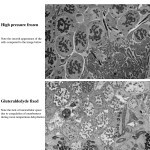 Here is a link to a great source of information about high pressure freezing. 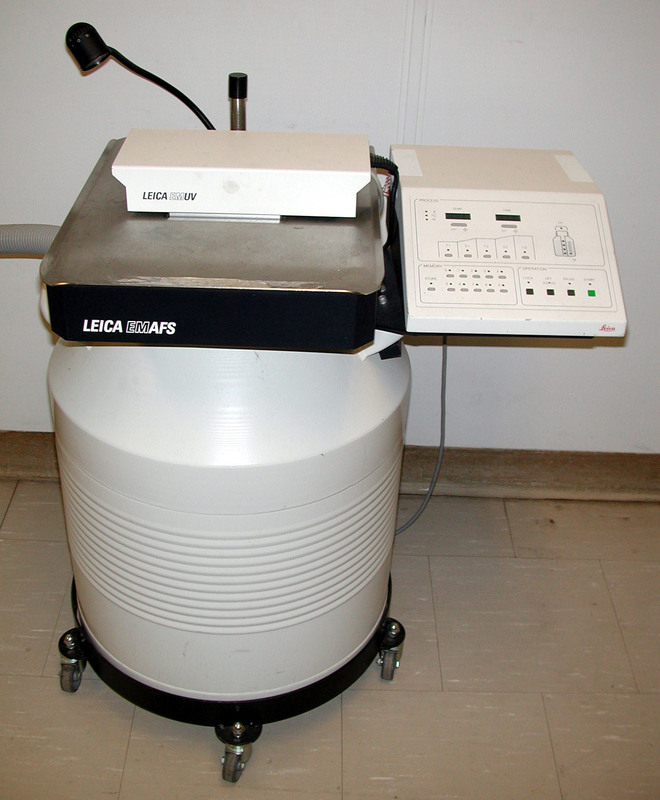 The Leica high pressure freezer. Used to freeze substitute cryo-fixed samples.